From 1 July 2017, the spouse’s income threshold will increase to $40,000. The current 18% tax offset of up to $540 will remain and will be available for any individual, whether married or de facto, contributing to a recipient spouse whose income is up to $40,000. As is currently the case, the offset gradually reduces for incomes above $37,000 and completely phases out at incomes above $40,000. To improve flexibility in the superannuation system, from 1 July 2018, individuals will be able to make ‘carry-forward’ concessional superannuation contributions if they have a total superannuation balance of less than $500,000. Individuals will be able to access their unused concessional contributions cap for an income year on a rolling basis for five years. Amounts carried forward that have not been used after five years will expire. Note that these amounts count towards an individual’s concessional contributions cap and will be subject to 15% contributions tax in the fund. From 1 July 2017, the annual non-concessional contributions cap will be reduced from $180,000 to $100,000 per year. This will remain available to individuals between 65 and 74 years old if they meet the work test. The cap is set at four times the concessional contributions cap (ie 4 x $25,000) and will be indexed in line with the concessional contributions cap. From 1 July 2017, the superannuation transfer balance cap of $1.6 million will apply. This means there will be a limit on how much of your superannuation you can transfer from your accumulation superannuation account to a tax-free ‘retirement phase’ account to receive an account-based pension income. The top-up amount represents a refund of a member’s lifetime superannuation contribution tax payments into an estate. Removing the ability of the superannuation fund to claim this deduction is intended to ensure consistent treatment of lump sum death benefits across all superannuation funds. These changes to superannuation are significant and will affect individual taxpayers differently, depending at what stage of working life individuals are at – low income earners or high income earners, in or out of the work force for the time being, nearing retirement or in retirement. Be ‘SuperWise’ – you should speak to your tax adviser to help determine how the changes impact on you, for example, whether you should take advantage of any of the changing caps now to top up your superannuation or reconsider how to plan for your retirement. Under these arrangements, an individual performs services for a client. The individual does not directly receive any, or adequate, remuneration for the services they provide. Instead, the client is instructed to pay fees or remuneration for the service provided by the individual to a company, trust or other non-individual entity. The relevant non-individual entity then distributes the income to a SMSF, of which the individual is a member, as a return on investment. The purported outcome of the arrangement is that the income is either exempt from tax or taxed concessionally rather than being subject to tax at the individual’s marginal tax rate. If you have an arrangement as described in TA 2016/6 or a similar arrangement, please contact the ATO (email: SMSFStrategicCampaigns@ato.gov.au and put ‘TA 2016/6′ in the subject line, include the SMSF trustee name(s), contact details and a time that is convenient for the ATO to call you so that the ATO can work with you to resolve any issues in a timely manner, and minimise the impact on the you and the fund. On 25 January 2017, the Minister for Revenue and Financial Services, the Hon Kelly O’Dwyer MP, released a statement about the government’s new multi-agency working group that will investigate and develop practical recommendations to deal with superannuation guarantee non-compliance. You should ensure your employer is paying the right amount of superannuation guarantee on your behalf. If you are unsure of what the correct amount should be, seek advice from your tax professional. The ATO is collecting data from financial institutions and online selling sites as part of their data matching programs for credit and debit cards, online selling and ride-sourcing. payments made to ride-sourcing drivers from accounts held by the ride-sourcing facilitator. 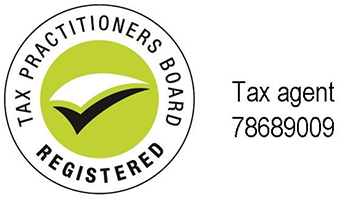 If you need to correct a mistake you have made in your income tax return, you should talk to your tax agent. The ATO’s ride-sourcing data matching program has been developed to address the compliance risk of the registration, lodgment and reporting of businesses offering ride-sourcing services as a driver. It is estimated up to 74,000 individuals (ride-sourcing drivers) offer, or have offered, this service. The ATO will request details of all payments made to ride-sourcing providers from accounts held by a ride-sourcing facilitator’s financial institution for the 2016-17 and 2017-18 income years. They will match the data provided by the facilitator’s financial institution against our records. This will identify ride-sourcing drivers that may not be meeting their registration, reporting, lodgment and/or payment obligations. Where the ATO is unable to match a driver’s details against ATO records, they will obtain further information from the financial institution where the driver’s account is held. The protocol has been prepared to meet the requirements of the Office of the Australian Information Commissioner’s Guidelines on Data Matching in Australian Government Administration (2014) (the Guidelines). This will impact you if you offer ride-sourcing as a way to earn income. On 14 December 2016, Minister for Revenue and Financial Services, the Hon Kelly O’Dwyer MP, announced that the government had established a taskforce to crack down on the ‘Black Economy’. Ms O’Dwyer said, “While there is no single, internationally-agreed definition, typically, the ‘black economy’ refers to people who operate entirely outside the tax system or who are known to tax authorities but deliberately misreport their tax (and superannuation) obligations. The ‘black economy’ can also include those engaged in organised crime, including those who engage in the production and sale of prohibited goods." The ‘Black Economy’ Taskforce, to be chaired by former chair of the B20 anti-corruption taskforce, Mr Michael Andrew AO, will provide an interim report to government by April 2017. Tackling the ‘black economy’ requires a whole of government approach and participants will include the Reserve Bank of Australia, the Australian Federal Police, ASIC, APRA, AUSTRAC, and the Departments of Human Services and Immigration. The Taskforce will provide a final report in October 2017 which will include an overarching whole of government policy framework and detailed proposals for action to counter the ‘black economy’. The proposed changes draw on a number of recommendations from the Board of Taxation’s post-implementation review into Division 7A. This change may impact you if you have private loans from your business. In that case, you should seek advice from your tax professional. Seek advice from your tax agent or adviser if you are unsure how to treat stock used for private purposes in your accounts for tax purposes. This includes digital products such as streaming or downloading of movies, music, apps, games, e-books as well as services such as architectural or legal services. Under the new law, overseas businesses will be required to pay GST on these sales from 1 July 2017. In the 2016-17 Budget, the government confirmed that from 1 July 2017, the GST will be extended to low value imports of physical goods imported by consumers. At the time of writing, the Treasury Laws Amendment (GST on Low Value Goods) Bill 2017 which contains this measure was sitting before Parliament. If you are registered for GST, most of the sales you make in Australia will include GST. pay the GST you’ve collected when you lodge your activity statement. You can’t claim a GST credit for the GST included in the price of purchases you use to make your input taxed sales. Your tax agent knows when you can and can’t claim GST credits. They will be able to ensure you put the right information into your activity statement and make the right claims for GST purposes. On 17 February 2017, ride-sourcing company Uber lost its battle with the ATO over whether its drivers have to pay 10% GST on their earnings. In a judgment handed down by the Federal Court, it was ruled that ride-sourcing is considered to be taxi travel and Uber will therefore need to pay GST on travel. include your income from ride-sourcing in your income tax returns. Drivers are also entitled to claim income tax deductions and GST credits (for GST paid) on expenses (you may need to apportion these so you only claim amounts relating to providing ride-sourcing services). The ATO’s data matching activities will identify if you provide ride-sourcing services. If you do, you may receive a letter from them explaining your tax obligations. New rules apply to vendors disposing of certain taxable Australian property under contracts entered into from 1 July 2016. A 10% non-final withholding will be applied to these transactions at settlement. This new withholding legislation assists the collection of foreign residents’ Australian tax liabilities. It imposes an obligation on purchasers to withhold 10% of the purchase price and pay it to the ATO, where a vendor enters into a contract on or after 1 July 2016 and disposes of certain asset types (or receives a lease premium for the grant of a lease over Australian real property). The foreign resident vendor must lodge a tax return at the end of the income year, declaring their Australian assessable income, including any capital gain from the disposal of the asset. A tax file number (TFN) is required to lodge a tax return; they will need to apply for a TFN if they don’t have one. The vendor may claim a credit for any withholding amount paid to us in their tax return. If you are buying or selling property and a foreign resident party is involved in the transaction, talk to your tax agent to ensure you meet your tax obligations in relation to this transaction. From 1 January 2017, the first $37,000 of a working holiday maker’s income is taxed at 15%, with the balance taxed at ordinary rates. The tax on any departing Australia superannuation payment made to working holiday makers after 1 July 2017 has also increased to 65%. Employers employing working holiday makers must be registered. Once an employer is registered, a withholding rate of 15% applies to the first $37,000 of a working holiday maker’s income. From $37,001, normal foreign resident withholding rates apply. If an employer does not register, they must withhold tax at 32.5% for the first $37,000 of a working holiday maker’s income. From $37,001, normal foreign resident withholding rates apply. Penalties may apply to the employer for failing to register. If you are a working holiday maker, you should seek the advice of a tax professional to ensure you have been taxed correctly. Individuals should make sure their claims for work-related expenses are right by using the series of occupation guides or other general advice available on the ATO website, which help people in specific industries understand and correctly claim the expenses they may be entitled to. You can visit the ATO to learn more about work-related expenses and the occupation guides. However, it is best to seek the advice of a tax professional if you are unsure what deductions you are entitled to or how much you can claim. The ATO’s myDeductions tool in the ATO app can help you keep track of your work-related expenses, car trip data, gifts and donations. You can record your expenses on the go using your phone or device. Come tax time, you can then email your deductions file to your tax agent to review, who can then advise you on your claims and lodge your tax return. You can also keep the file on record in case you need it later. If you use the upload feature in the app, your tax agent can access your data via the Practitioner Lodgment Service and check it before lodging. In this case, the evidence established that the taxpayer’s employer provided him with a locker to store his tools and equipment at his primary place of work. The taxpayer said that it was his decision to take his tools and equipment home each night as he did not believe the storage lockers provided by the employer to be secure. The AAT found that the taxpayer was not entitled to a deduction for any amount of his work related travel expenses as he was not required by his employer to carry his bulky tools and equipment from home to work. By his own admission, this was the taxpayer’s own personal choice, arising out of his unsupported safety concerns. If you are in a similar situation and are claiming a deduction for the cost of travel from home to work because you are taking bulky tools home with you, you should seek advice from your tax professional to confirm whether you are entitled to this deduction. If you are renting a room out or your home out using a service like Airbnb or Stayz, you should seek advice from your tax professional to ensure you are not only declaring the right amount of income, but also claiming deductions you may be entitled to for earning income this way.